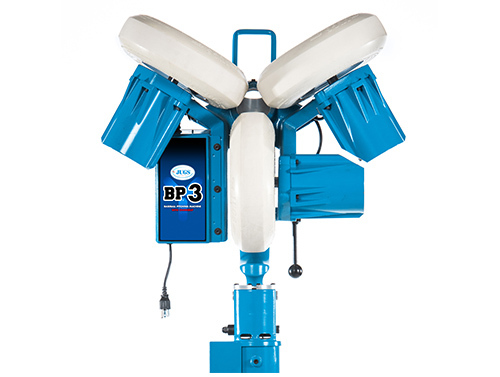 The Jugs BP® 3 is the best pitching macine on the market to practice hitting Changeups! *Digital Speed Adjustment: 40-90 mph. *Fastball/Changeup Hitting Circuit: 3 preset hitting circuits allows the machine to automatically change between fastball and changeup giving your hitters a "real" pitcher vs. hitter experience. *Patented Grip-Tite™ 12” non-marking pneumatic tires—Average 20-year life expectancy compared to 5-year solid-tire life expectancy. *Grip-Tite™ tires provide superior pitch accuracy compared to any other 3-wheel machine. *Always see the ball™ delivery system: A clear and uninterrupted view of the ball throughout the entire pitch process allows the hitter to realistically time their stride. *Throws baseballs, JUGS Pearl®, Sting-Free® baseballs, Lite-Flite® baseballs, Softie® baseballs and Bulldog™ polyballs. *Runs on 110-volt AC or the Powerhorse® Portable Inverter Generator–2000.